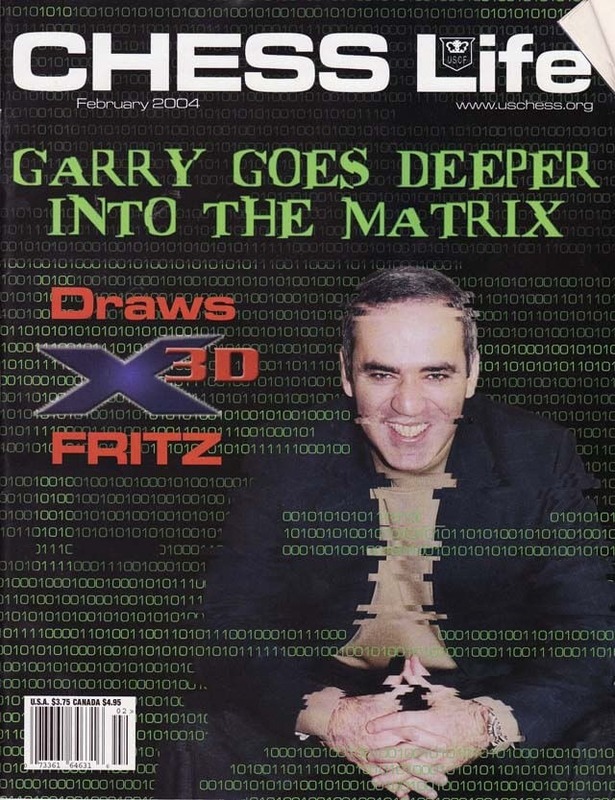 The February 2004 Issue of Chess Life Magazine, featuring Garry Kasparov's exciting match with super-strong program X3D Fritz, which ended in a draw. There is an in-depth article on this match with game-by-game annotations. Kasparov even writes an article himself.... on Mikhail Tal! There is also an article on the Russian Championship, won by GM Peter Svidler over a very strong field.